It is a truth universally acknowledged, that all booksellers are amazing people. They love books, they're friendly and they have an excellent ability to bring those two things together to create wonderful, welcoming places for readers to indulge their own love of books. However, as great as booksellers are, every now and then one comes along who still manages to take you by surprise and be even more wonderful. I try not to single people out too much, but today as I write (from a very comfy hotel room in Bath) I'm still overwhelmed by the wonderfully friendly generosity I experienced in this week's bookshop. What's even more overwhelming about the experience is that the only reason I'd heard of this hidden gem is because of a friend from Twitter. When I made my arrangements to visit Bath Tamzin kindly offered to show me around, and the first stop on our itinerary was a place neither I nor (apparently) Google have heard of. The Oldfield Park Bookshop is found slightly out of Bath, meaning even while randomly wandering I probably wouldn't have discovered it. It is also, from outside, fairly unremarkable in the world of shop fronts. I don't mean that rudely, it has a very smart front window and you can see lots of books inside, but none of this gives any hint of the joy I was to experience. Split into two rooms, with the second the size of a large cupboard but definitely worth the effort – especially if you're interested in learning more about graphic novels – the bookshop is incredibly well stocked for the small space it inhabits. But this is an incidental bonus to the experience. 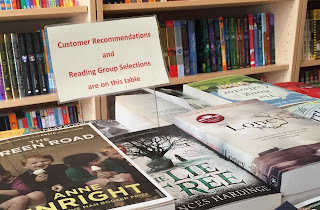 The first thing I spotted was two tables of books, one for recently reviewed and new books, the other for customer reviews and reading group books. I liked the way these two tables had been arranged, but also noticed a lack of bookshop recommendations and so I decided to ask for one. Harry the bookseller who I met (the bookshop is run as a partnership) nicely explained they don't put out specific recommendations because that would be too broad. Instead he asked what I've read recently. I glanced around the nearest table, pointed at two books and Harry began to talk. So began one of my best bookshop experiences to date. Harry needed mere seconds to leap from the book I'd indicated to recommend another along the same lines, which happened to be by one of my favourite authors. This meant I was automatically trusting of everything that was to follow, but even if he'd picked out a writer I'd loathed (unlikely) Harry had my attention. His recommendations were generous, wide-ranging and informed, while also being perfectly suited to my taste – but those are the attributes of all good booksellers while Harry has something extra. I've sat here for a good hour or two trying to find the words to describe it, but nothing comes close to explaining the innocent joy to the way he talks about books. It's happy, infectious, informed, child-like, gleeful, polite and so many other things – his conversation really has to be experienced to be believed. My purchase ended up being Housekeeping by Marilynne Robinson. I could easily have bought all the titles Harry recommended but this one won my attention for being the book I felt least likely to have picked up if left to my own devices. Perhaps an odd way of coming to a decision, but such is the level of trust I have in Harry's enthusiasm. 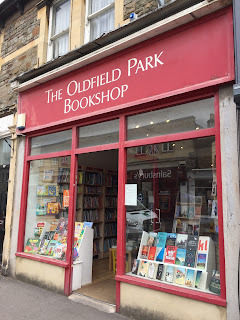 I urge people to visit every bookshop I write about, and I always recommend talking to booksellers, but in the case of The Oldfield Park Bookshop I cannot speak highly enough of my conversation with Harry. Whether you're local to Bath or on holiday, take a trip out of town to The Oldfield Park Bookshop and have a chat with Harry. It's a magical experience. What a fabulous write up! This is actually,geographically, our local bookshop - being 5 minutes walk from home - but as we tend to walk into Bath to do our shopping I don't use it as much as I (apparently) should. 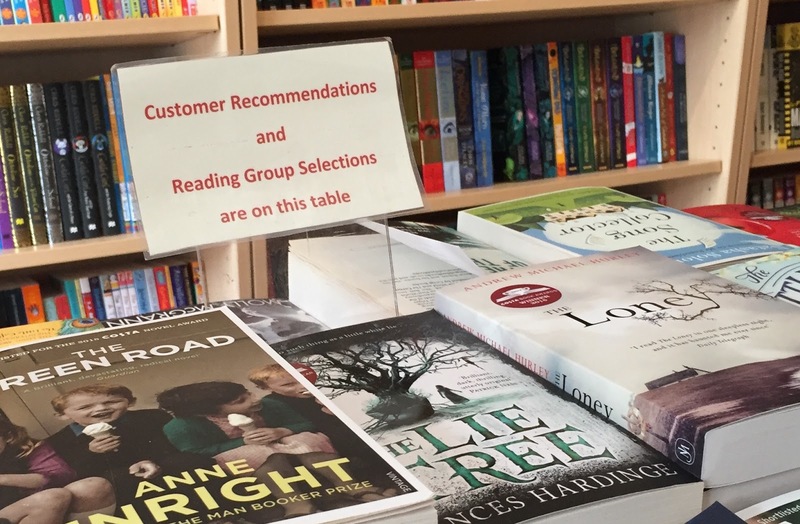 I shall try going and asking for a recommendation next time we are on Moorland Road (which is quite frequently as it is very near a brilliant DIY shop that I am often in asking for advice). Oh! I'm so jealous. Do go and say hello to Harry. He's a hidden gem of the bookshop world.